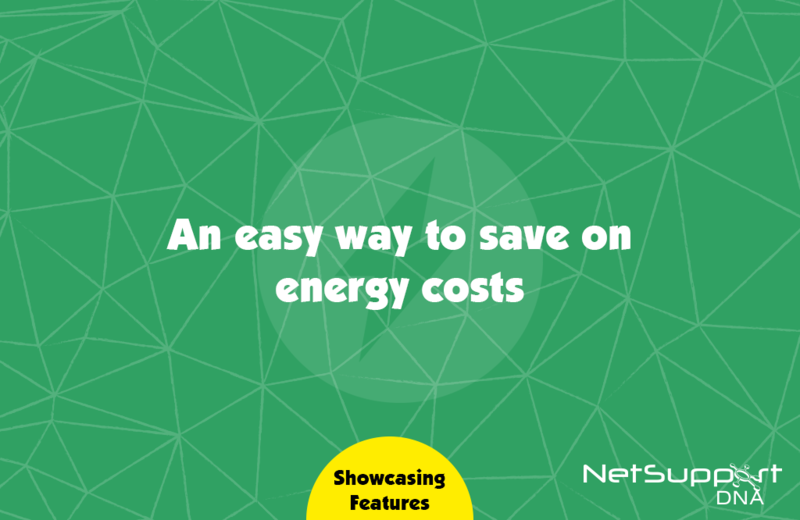 NetSupport DNA’s Energy Monitoring and Power Management tools keep you informed by showing you how many PCs are left on out of hours – and, most importantly, how the costs of this can significantly add up over time. You can set Power Management policies allowing selected PCs to be set to automatically power off and power back on – all at once, or in stages – the next morning. In addition, “inactivity policies” can be applied, allowing rules to be applied for systems to sleep, log out or power down if they have been inactive over a period of time.